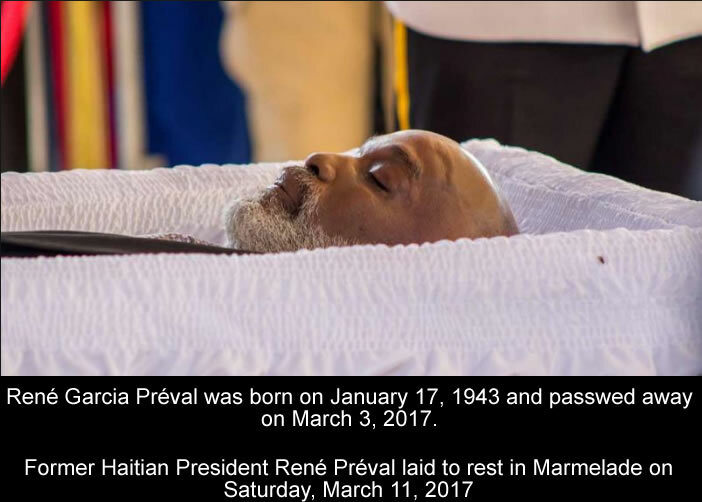 Here is the picture of former Haitian President Rene Preval during his funeral on Saturday, March 11. René Garcia Préval was born on January 17, 1943. He was a Haitian politician and agronomist and twice served as President of Haiti. He was president from February 7, 1996, to February 7, 2001, and from May 14, 2006, to May 14, 2011.